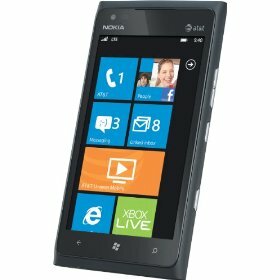 Amazon Wireless is always a great place to purchase a new mobile device, this time it is the ideal place to purchase a new Nokia Lumia 900 Windows Phone in black. You can purchase a brand new Lumia 900 4G LTE Windows Phone through Amazon Wireless (under AT&T) for only $9.99 if you are upgrading or adding a line. If you are a new AT&T customer however, you will have to pay $39.99, both prices are still great. Prices are always great on Amazon Wireless, if we didn’t emphasize that already. If you are wondering if the prices for the white and cyan color versions have also been reduced, unfortunately not to the same extent. The cyan and white colored Lumia 900 are each $49.99 for new AT&T customers, individual account upgrades – $19.99, family account upgrades – $89.99, and $49.99 if you are adding a line. Visit the Nokia Lumia 900 product page for the black version to place your order. For white go here, for cyan go here.